Interested in the price of this. The book-head theme is something I have painted several times such as with my classics from 1975 and 78, “Wise Man” and “The Intellect”. 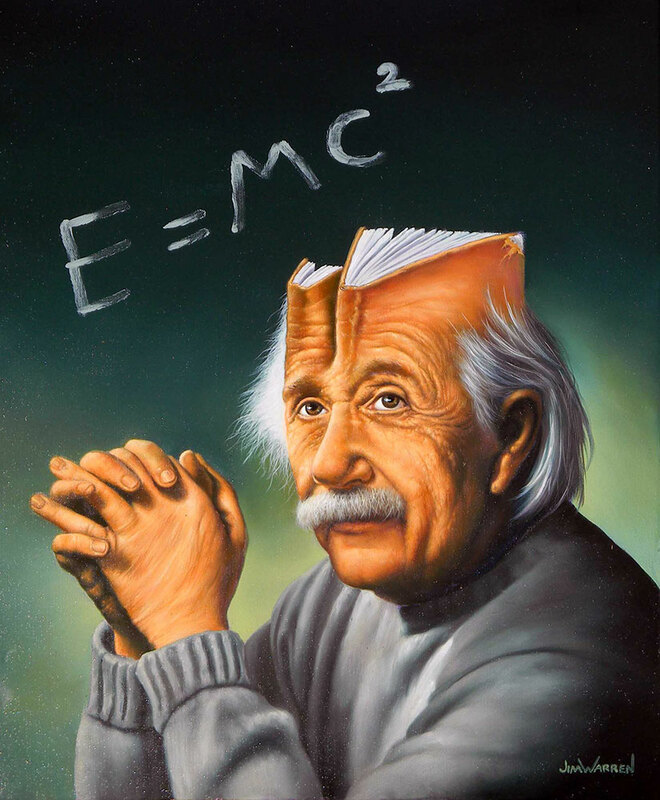 This seems like a perfect theme for Einstein as well, whose head was full of knowledge.